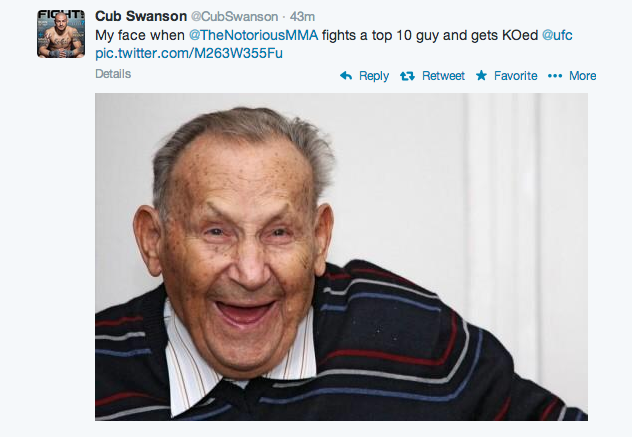 Everyone knows that Cub Swanson and Conor McGregor aren’t the biggest fans of each other. Just moments ago on Twitter, they are going at each other again. Both fighters are extremely exciting and fan favorites. Swanson has dynamic power and hand speed, and he stories one of the biggest career comebacks — going from losses to elite relevance. 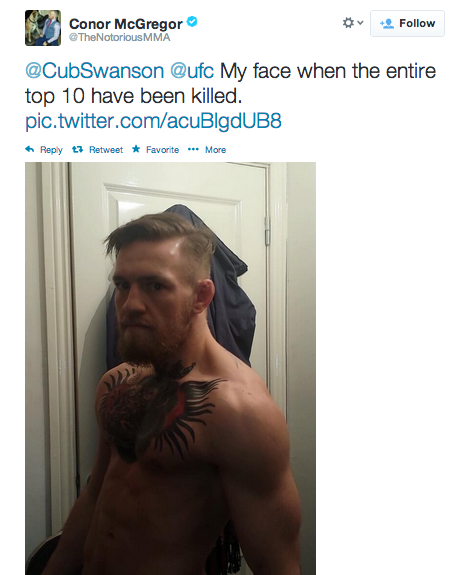 McGregor is currently on a meteoric rise to fame — he is a national star in Ireland. If and when the two fights, it will be an epic event that is sure to produce fireworks.